The Bellwether Effect | The Secretan Center, Inc. In the more than two decades of knowing Lance, he has been my teacher, mentor, and friend. He has helped me transform organizations into great healthcare organizations and great employers. Time and again, he reminded me of the stupid things organizations do and what I should be doing instead – and he did so with love and dignity and grace. Lance is the best the world has to offer, and he has shown me how to be the inspirational leader I have always wanted to be. Lance Secretan does it again. He takes the world as we know it and turns it upside down to give us the opportunity to actively seek to live in a world we WANT to know. Dr. Secretan leads the field in change leadership by inspiring new ways of organizational living. This book is a life-changing blueprint for how to treat others as well as ourselves. I highly recommend everyone who considers themselves a leader to read and apply the concepts and ideas so beautifully presented. Then, watch how your definition of leadership changes! Lance has once again shown the world he is at the leading edge of inspiring leaders to show care, compassion and love in the workplace. That is the only way to truly inspire Team Members to do what they do best every day. 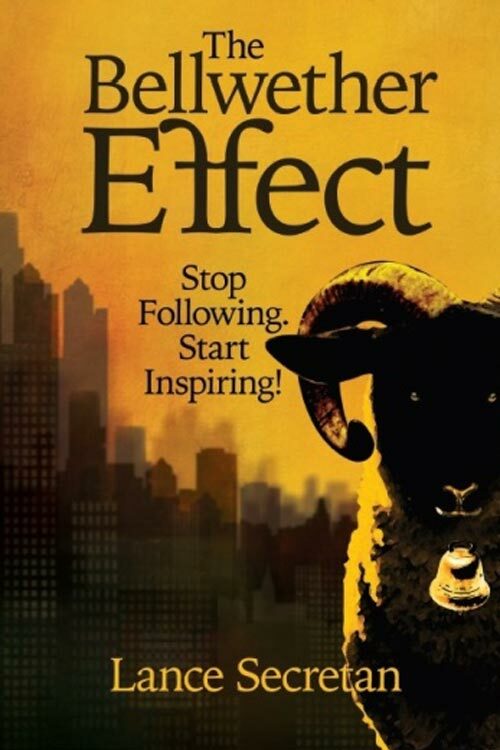 Lance Secretan's latest book, The Bellwether Effect, is filled with transformational practices and a must read for leaders and HR professionals. This book is overflowing with popular organizational exercises that must be challenged and replaced by more effective approaches to help employees reach their full potential. Dr. Secretan's candid work pushes the boundaries of our thinking by inspiring us to integrate new approaches that will positively influence culture change. This is an excellent resource for human resource professionals to introduce in their organization with many chapters of notable practices that need updating and rich content on how to move forward. This is another outstanding business book written by Lance Secretan to share and discuss key principles with other leaders. 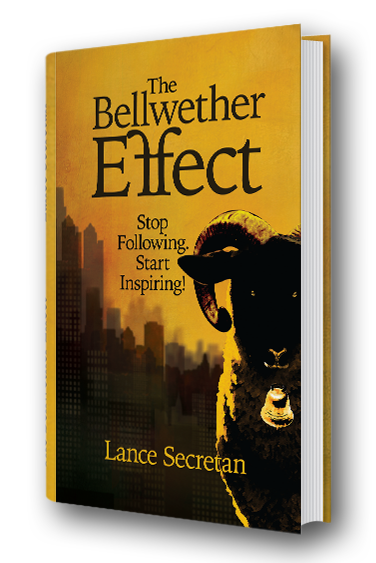 Listen to the Preface of The Bellwether Effect read by Lance Secretan. As a world authority on corporate culture and leadership, Dr. Lance Secretan always asks this question: “What proportion of the population do you think would give up their day jobs if they had a free choice?” Shockingly, the answer is always 80% or more and this is confirmed in many research studies. Having spent his life teaching leaders to create inspiring workplaces, he was stunned at the consistency of this negative response, and so, he set about researching why this was so. The answer, he discovered, is that we do many things in modern organizations that demoralize people and cause them to tune out and distrust organizations and their leaders. Lance Secretan defines “the bellwether effect” as, “copying the business practices of those who influence group behavior”. He traces the history of these practices, who initiated them, why they did so, and why others copied them—often, with disastrous results. In this meticulously researched work, he reports on the evidence showing how counterproductive these business practices are, and recommends radical, modern and inspiring ways to change course. Business practices that are uninspiring lead to low morale and poor performance. The opposite is also true: business practices that are inspiring lead to high performance, creating a virtuous cycle. Innovative leaders from across the world have praised the breakthrough thinking in this book. This is one of those rare books that looks you in the eye and touches your heart and mind. It is brilliantly simple, very pragmatic, absolutely real and profound at the same time. This book will be a wonderful, conscientious companion to many, including me! When 80% of the population doesn’t want to go to work, and don’t enjoy their jobs or careers, we have an existential problem. We live in a liberal democracy which depends on enlightened capitalism. This in turn, is founded on a market economy populated by public and private organizations. If the people in those organizations are disaffected, the whole system is at risk—The Bellwether Effect is a virtual manifesto for reinventing how we approach leadership and corporate culture.